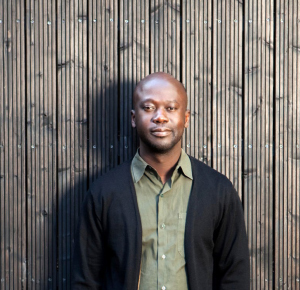 One of the most talked about, successful and ground-breaking architects on the contemporary world stage, David Adjaye has developed a consistently innovative and compelling oeuvre. He found fame originally with an extraordinary series of houses in which he employed everyday materials and dark surfaces to create striking, radically original interiors. He then used that experience to build a number of projects of social value including the Whitechapel Idea Store, the Bernie Grant Arts Centre, the Stephen Lawrence Centre and Wakefield Market Hall. His increasing fame ensured international commissions including the Nobel Peace Centre in Oslo and the Skolkovo School of Management in Moscow. Adjaye’s most important and personal commission so far however is the Museum of African American History on the Mall in Washington DC, a building which will complete the city’s Mall. Adjaye has worked closely with izé to create a series of products which take familiar forms and subvert them, from the ubiquitous language of bent and welded tube to the angular wedge knob.